William “Bill” Menz of Medina passed away July 16, 2018 at his home after a lengthy battle with asbestosis and heart disease. Bill was born March 1, 1932 to the late Arthur & Alice (Bates) Menz in Buffalo, NY. He was a 1950 graduate of Burgard Vocational High School, Buffalo, NY, majoring in aviation mechanics, and then followed in his father and grandfather’s footsteps by completing a 4 year apprentice with the Operative Plaster, & Cement Masons, Local #9, Buffalo. He married Elizabeth “Betty” Fuller in 1953 and raised their 4 children in Medina, NY. 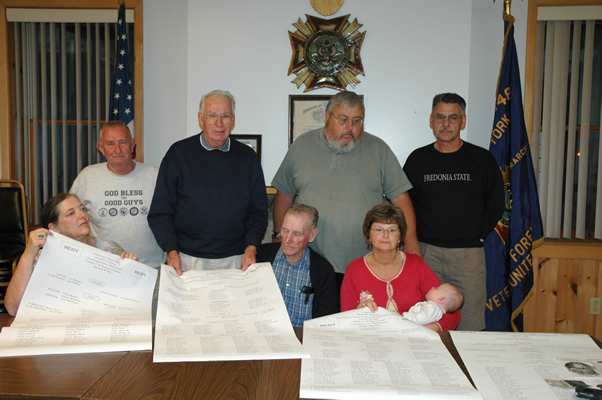 Bill joined Company C of the 174th Armored Infantry at the Medina Armory in 1953 and was promoted to corporal before transferring to active duty in 1956 to the US Army National Guard. He trained at Fort Dix, NJ and advanced to the Signal Corps at Fort Monmouth, NJ. During the Cold War Period of 1956-57, Corporal Menz was assigned to the Signal Corps Recon Unit #7 in Thule, Greenland for the highly classified Project Magic Lantern, the monitoring of Nuclear Explosives whereby he was promoted to Sergeant First Class. Upon completing his active military duties in 1958, Bill returned home to Medina and worked as a journeyman for Hudson Plastering Company, Buffalo. He became a leader in special coatings & prefab composite panel manufacturing for Finestone Corp, Detroit, MI promoting and installing their “Ball Wall” Racquetball court system. He also worked at US Panels, Continental Panels and Sullivan Sales of Buffalo, NY as well as Miles Interiors, St Louis, MO. His final years in the construction industry were with the VA Medical Center of WNY as a Plasterer/Mason, retiring in 1996. Bill was highly skilled, accomplished and knowledgeable in his profession and the go-to-guy for drywall, masonry and plastering in both new and historic homes in and around Medina for many years, teaching future generations the trade. 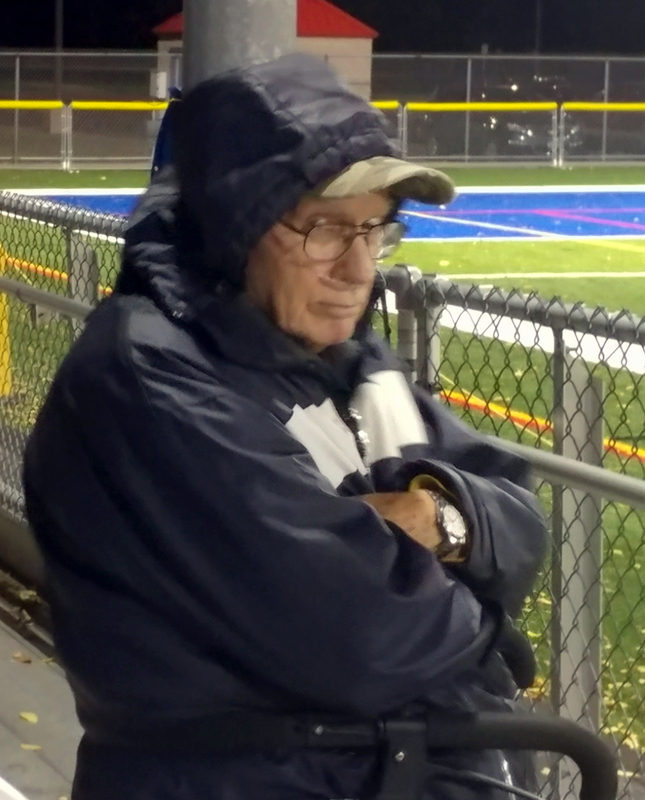 Upon his retirement, Bill volunteered with the Orleans County Veterans Van Service, transporting veterans to the medical facilities in Western NY for 14 years. Bill was an active member at St. Mary’s/Holy Trinity RC Church and Medina Council #651 Knights of Columbus where he volunteered as captain of their Monday night Bingo Team for over 25 years. He was also the Recording Secretary for Local #9 union for 25 years. 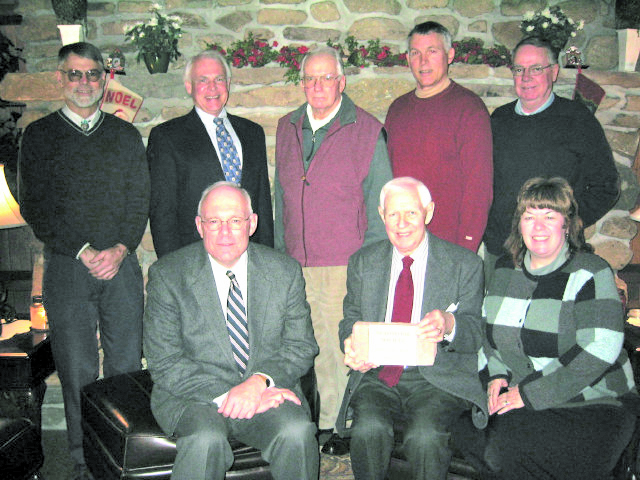 He was a charter member of the Armory Action Committee to save and preserve the Medina Armory after it was decommissioned in 1977, organizing roller skating events for the community. Bill was instrumental in converting it into a community center and eventually YMCA. 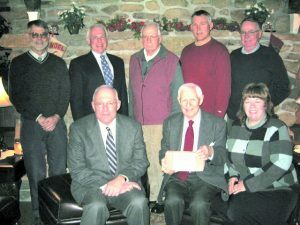 In 1983, he became a charter board member of the Medina Sandstone Society under the direction of Robert E. Waters, to carry on where the the Armory Action Committee left off, to promote the history of Medina Sandstone and preserve the Medina Armory. 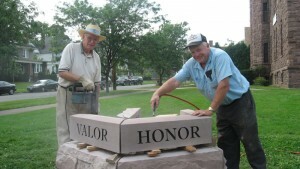 In 2006, Bill assembled a group of Medina Veterans, Company F family members and representatives from the Medina Sandstone Society to provide a permanent tribute to the 550 soldiers from Orleans County who joined and served in Company F from 1898 to 1945 as well as Company C from 1947-77. In 2008, he designed and built the sandstone monument with friend John Fuller, along with assistance from his committee and community support. 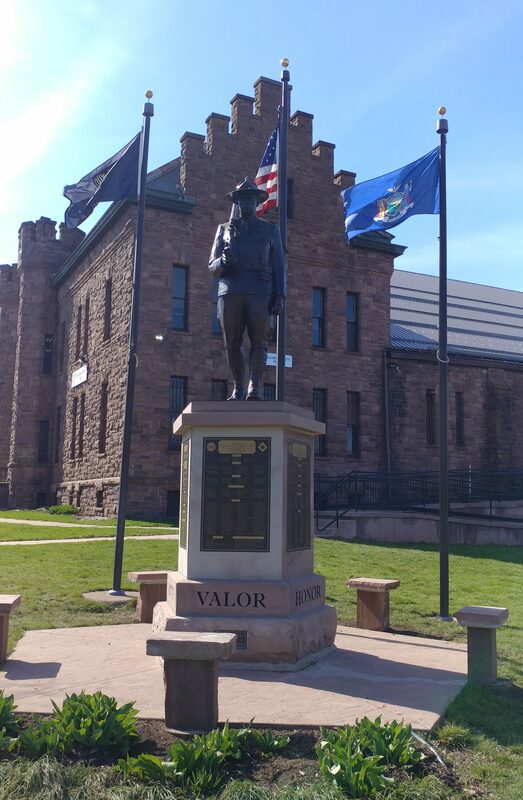 In the past few years, Bill persevered and led the committee to raise funds to have a bronze statue created in the likeness of a pre-WWII soldier to be mounted on top of the sandstone monument. In his final days, Bill was able to visit the foundry at the University of Buffalo to see casted components of the actual statue. (Click here to view the post of his final visit.) Bill’s legacy will live on at the Company F Memorial on the corner of Prospect & Pearl Streets in Medina that is expected to be completed in the Fall of 2018. Bill enjoyed camping with family & friends (caravaning with the “Myrtle Beach Gang” in the ’70s) and in the latter years, golfing in the winter months on the Grand Strand with friends and family. He was an avid fisherman, organizing annual trips to Lake Nipissing, ON and Lac Opemisca, Quebec, introducing over 40 friends and family to his favorite fishing spots. His comfort was at his home, sitting in front of his split-faced, field stone fireplace that he built. Bill was a proud and supportive father and grandfather, especially at school activities. Bill and Betty could be found on the sidelines of NUMEROUS band pageants/concerts, dance recitals and athletic competitions cheering (and fist-bumping) them onto victories. He also was there—with trowel in hand—to teach and share his drywall and masonry skills to his adult children with their home improvement projects. 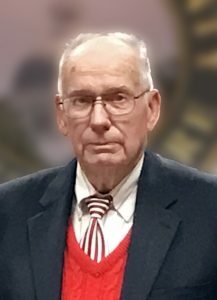 Bill continued his service even after his death, donating his body to the Jacobs School of Medicine and Biomedical Sciences at the University of Buffalo, specifically for Huntington’s Disease research. It was Bill’s life-long desire to eradicate the hereditary disease that his mother, sisters and nephew had succumbed to years earlier. 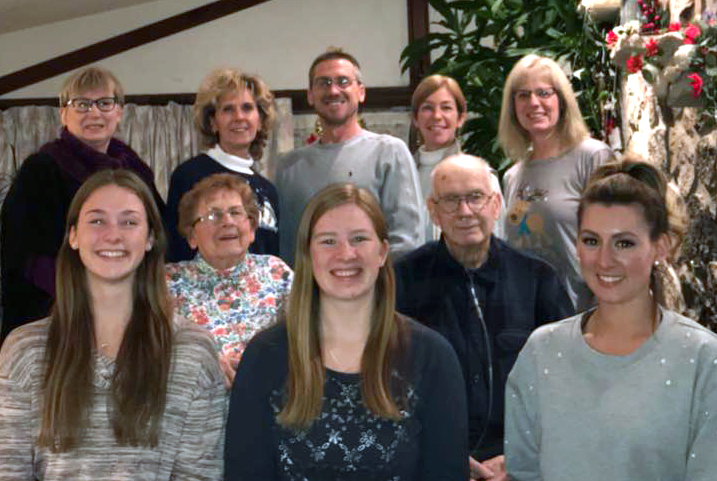 Survivors include his wife of nearly 65 years, Elizabeth “Betty” Menz, daughters Mary Beth Germano of Rochester, Lynne Menz of Kent, Teresa Menz of Sidney, son Timothy (Karin) Menz of Lyndonville, and granddaughters Alyssa Germano, Meghan Menz and Natalie Menz. 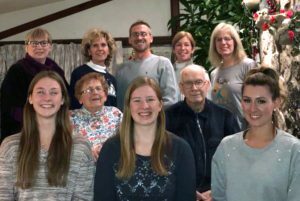 Also, brother Ellsworth Menz of Hamburg, brothers-in-law Lavern “Bud” (Doris) Fuller, Robert Fuller, Paul Fuller, all of Medina, Norbert Zajac of Depew and sister-in-law, Dorothy (Edward) Hellwig of Lockport as well as several nieces, nephews and his beloved grand-dogs. He also leaves behind his personal Company F secretary, Cathy Fox, who became like family and right-hand-girl that assisted him with the monument project and chauffeured him to the sculptor’s studio, always with a side-trip to his favorite lunch stop—Ted’s Hot Dogs. Besides his parents, Bill was predeceased by his sisters Janet (Ray) Kubiak, Betty (Donald) Aloi, Elaine (Michael) Goss, Nancy Zajac, sisters-in-law Carolyn Menz and Barbara (Merle) Draper and nephew Michael Goss. Relatives and friends may attend a memorial service on Saturday, July 28, at 11 a.m. at Holy Trinity Parish/St. Mary’s Church, Medina, celebrated by the Rev. Daniel J. Fawls. Full Military Honors will be accorded at the church. A Celebration of Life reception will follow the church service. Interment will be in St. Mary’s Cemetery at a later date. In lieu of flowers, contributions in Bill’s memory can be made to any of the following or a charity of one’s choice. Hospice of Orleans (14080 Route 31 W, Albion, NY 14411). Arrangements have been entrusted to the Bogan & Tuttle Funeral Home, 226 Pearl St. Medina, NY 14103. Please light a candle or share a memory of Bill at www.boganandtuttlefuneralhome.com. The family extends their deepest gratitude to all those who supported Bill in his accomplishments and to all those who endured his assertive style of “teachings”, whether they were invited or not. His legacy will live on in each one of you! I love you, dad and will miss you every minute of the rest of my life. So proud to be your daughter. Our thoughts and prayers are with the Menz Family during this most difficult of times. May he Rest In Peace. He was worried he would not be around for the unveiling of his Company F statue. I assure you, he WILL be there in spirit, as well, in some tangible way, to ensue he receives the well earned credit for that project. God Bless, you Bill. And sincere condolences to Betty, her family, and, in particular, our very good friend, their daughter, Lynne. A military veteran is our country’s greatest asset. It’s a very sad day when one dies. We owe each one a debt gratitude that can never be repaid.